This book has gone into its first reprint! On sale now in the PaperCrane online store. Save on package deals with our Folding Australia Publications. Folding Australia 2005 Convention book now available. Folding Australia's first international convention book, packed with diagrams from local and global origami talent. Beautifully designed by My Trinh Ha, this book is a quality convention book, handy A5 size, no ring binding, full colour cover, black and white throughout. Featuring articles and photos about the lifesize Origami House project. 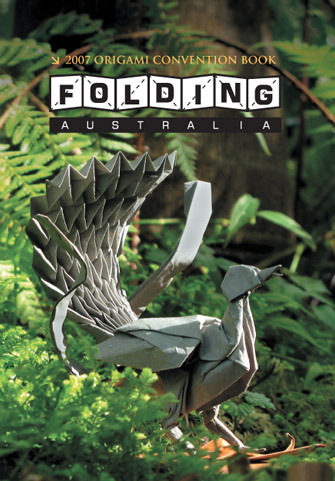 Visit our online shop for more information on this great Folding Australia publication, containing diagrams from all over the world. Including a light-sabre wielding Yoda, diagrams from our special guests Michael LaFosse, Go Kinoshita, our good friend Ron Koh, and many many more. Our T-shirts are on special, 25% off. We are doing a fundraising clearance sale. Prices are folded down, stocks are limited, only certain colours and sizes are still available. Visit our papercrane online shop. 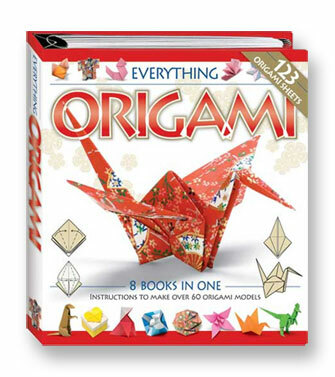 Here you can find the origami diagrams for models taught by Matthew Gardiner on the ABC Sunday Arts program.